Well furnished third floor apartment (80m2) on the top floor of an aparthotel just 250m from the sheltered sandy beach Praia do Vau. 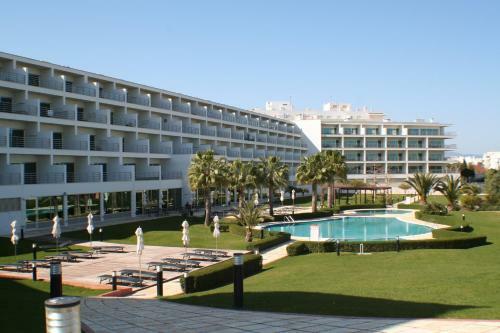 The aparthotel consists in total of 80 apartments and has an on-site restaurant, bar and 24 hour reception. 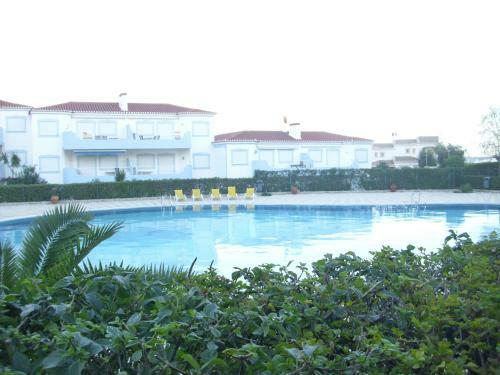 Located in Portimão, Apartamentos O Presidente offers an outdoor pool. The property is 1.1 km from Vau Beach and 1.4 km from Museu de Portimão. Accommodation will provide you with a TV, air conditioning and a balcony. Holiday Home Oasis Parque is a 2-bedroom apartment located within a private complex with outdoor and indoor pools, tennis court, playground and a hot tub. 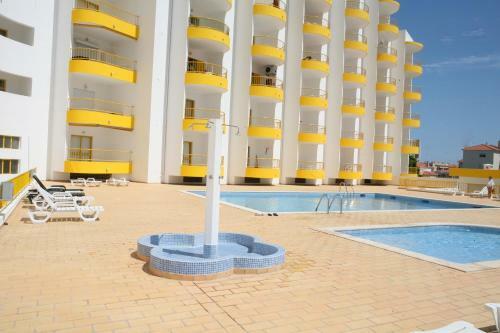 It is located a 5-minute drive from Portimão Train Station.